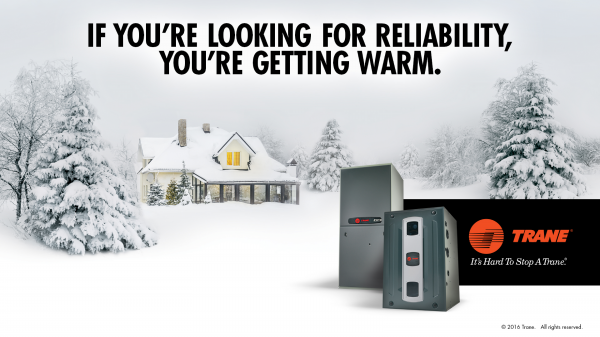 Your furnace is a very important part of your home, but not something you even think about unless there is a problem. I've written previously about telltale signs that it is time for a new furnace. What most people don’t know is your furnace runs both summer and winter. In the winter, the furnace is heating your home. In the summer, your furnace distributes the cold air using the same fan blower as in the winter. Because the furnace is so important to your year-round comfort, you should be familiar with why a furnace can make a smell. There are normally three different reasons a furnace puts out an odor. You should take note of what the different types of smells are to be assured your furnace is working efficiently and properly year-round. When your furnace emits a burning smell or and metallic smell, this is usually a reason for caution. Burning smells can be a sign of wiring getting too hot or of your fan motor burning out. A metallic odor can be a sign of an internal component getting overheating or rubbing up against a moving part. These types of smells should be checked immediately by your service provider. If you detect smells like these, you should shut off your furnace right away and call your service provider. A smell of rotten eggs is an odor that people may report smelling and it is the chemical gas companies put in their natural gas to alarm the owner of a gas leak. Natural gas has no odor in its normal state and it is so volatile, one needs to be aware of a leak right away. Gas leaks can ignite and the explosion can kill all the occupants. If you ever smell rotten eggs, turn off your furnace and call the gas company. These smells should be handled with the utmost urgency. The third smell detected by homeowners is one of dust burning. These are quite normal smells and usually only happen at the change of the seasons between summer and winter. During the summer, dust builds up on the heat exchanger and the blower and when the burners are first turned on for the cold weather, this dust burns off and the smell comes out of the ducts. These types of smells should normally go away after the first few hours of operation. If not, one can check their furnace filter to make sure it is clean. A technician may also have to be dispatched to your home to do a complete internal cleaning. Your furnace is a very important part of your home and provides comfort all year. You should occasionally go visually inspect it just to be assured nothing has fallen off and drastically changed. It is also a good idea to hire a professional like Reliable Heating & Air to inspect and clean your furnace and air conditioner. 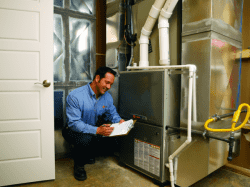 If these small steps are followed, a furnace can give you years of trouble free service.